Hair Toner There are 5 products. If you've been looking for a dramatic new hair colour, why not check out the La Riche Directions Semi-Permanent Hair Dye in White? 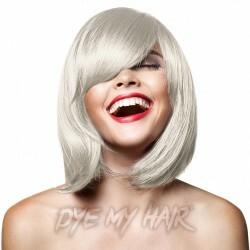 Go a whole lot lighter with the Stargazer Hair Colour Toner in White! 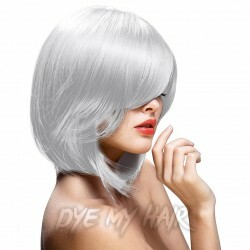 Easily achieve a white shade that'll create a whole new look or a suitable base layer for other dyes! Whether you’re bleaching your hair at home or looking to preserve and maintain your perfect shade of blonde, one thing you simply can’t do without is a good hair toner! The ideal thing for creating an even base shade and neutralising pesky brassy tones, our range of hair toners will get your hair ready for dyeing in a flash. 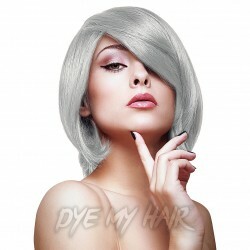 If you’ve ever been envious of someone’s stunning platinum blonde locks or found your jaw dropping at the sight of a light and silvery mane, then the chances are the color you loved was entirely down to the clever use of a hair toner for brassiness. Whether you opt for a purple toner to create an ashy effect or to simply achieve a pale blonde or white base shade, you can easily manipulate your color in a single application. Toner is not a dye. 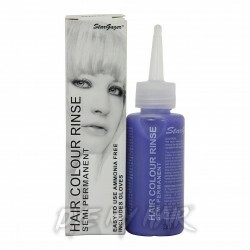 You can’t simply apply a blue or purple toner to your hair and expect it to come out that color! What this product can do is neutralise unwanted yellow or orange tones in the hair to create an even, blonde result. This is especially useful if you’ve had repeated bleach applications resulting in slightly different shades of blonde or if you’ve got ‘hot roots’. Working on the principal of color theory, purple and blue tones will neutralise brassiness in blonde shades, green or blue can eliminate unwanted redness in darker blonde hair and red will disguise dreaded green tones. By using hair toner for orange hair your hair dye will be a closer match to the bright color you are after. Toner is for lighter hair. If you’re looking to fix unwanted tones in your red, brunette or black hair, then an ammonia free dye or glaze (with the correct color undertones) is a better solution. This is basically an equivalent of toner for brown hair. If you have blonde hair, you can switch up the shade simply by using a toner. You can go for a cooler, ashier, warmer or faintly colored tint to add some variety to your look without the need for a new bleach job! If you’re dead set on remaining bleach blonde, remember that even the best hair toner is not permanent. You will need to re-tone on a fairly regular basis (around every 6-8 weeks on average) to maintain your look. Toning can dry out the hair, so ensure you wash it as infrequently as you can and treat your tresses to the occasional deep conditioning treatment to keep it silky. Remember, as with all hair dyeing products, you should always use ash toner for brassy hair in a well ventilated area and closely follow the instructions for use. Hair Toner: A Hair Dyeing Must Have! We know a thing or two about hair coloring here at Dye My Hair and it’s no understatement when we say that if you’re going to pre-lighten your hair at home, the most important product in your kit is some best hair toner UK. If you’re a big fan of wild and crazy hair colors, chances are you’re already relatively familiar with the hair bleaching and subsequent dyeing process, but if you’re a newbie, then think of it this way: If you were painting your nails, you’d use a basecoat, right? Of course you would, because the basecoat creates an excellent foundation for you to then apply a colored polish on top. Well, hair toner colors are basically a basecoat for your hair! It doesn’t deposit color, but it does help to create a nice even base shade without any areas of brassiness or uneven tone, which is why it’s the single most important thing you can do to your hair once it’s bleached. Toning is particularly important if you’re planning to rock a pastel shade, as lighter hues of dye are notoriously unforgiving and areas of uneven color are more likely to show through your color. We know you will notice a hair toner before and after difference. Now you’re fully informed about what hair toner actually is and how and when to use it, why not take the plunge and dare to dye?